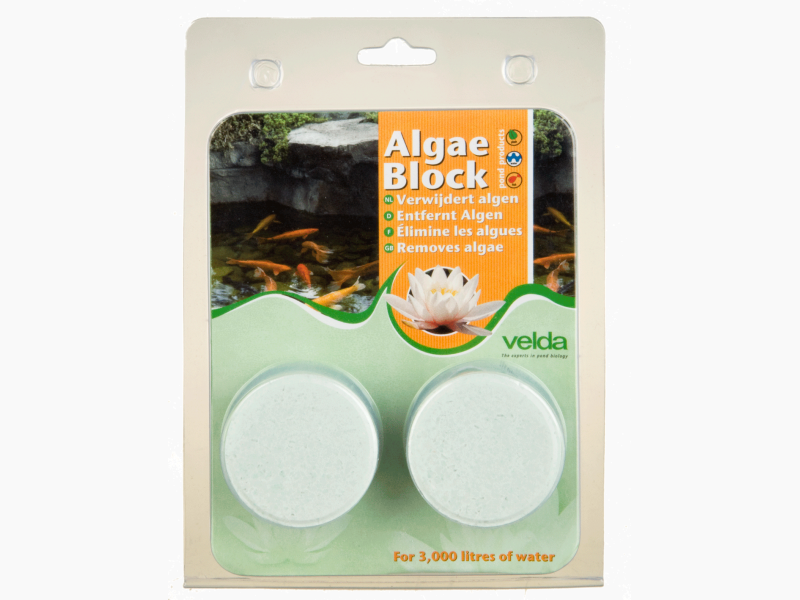 An Algae Block removes and prevents any algae, both fibrous and slimy types and floating algae that causes green pond water. 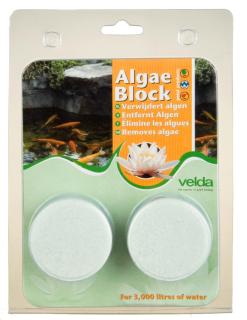 Growth of algae can be a nuisance in many garden ponds. Especially new ponds and ponds which are confronted with a failling biologic balance can be embarrassed by it. 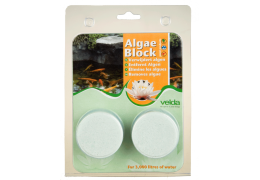 Fibrous algae, slimy algae and green water will spoil the pleasure you take in keeping a pond. These algae are not just detestable from an aesthetic point of view. What is worse, they obstruct plant growth and most of the time they even render it impossible. Calculate the water capacity of your pond as accurately as possible. One tablet is sufficiënt for 1500 litres of water. Round down the number of tablets, if necessary use a half or a quarter of a tablet. Distribute the tablets over the pond surface and wash your hands after contact with a tablet.